It's the end of an era! For the last four years, Sew Chatty has been such a blessing to me and to my family, but it was time for a change. You can now find me at Hello Apricot sharing fresh new DIY's and happy handmade goodness. 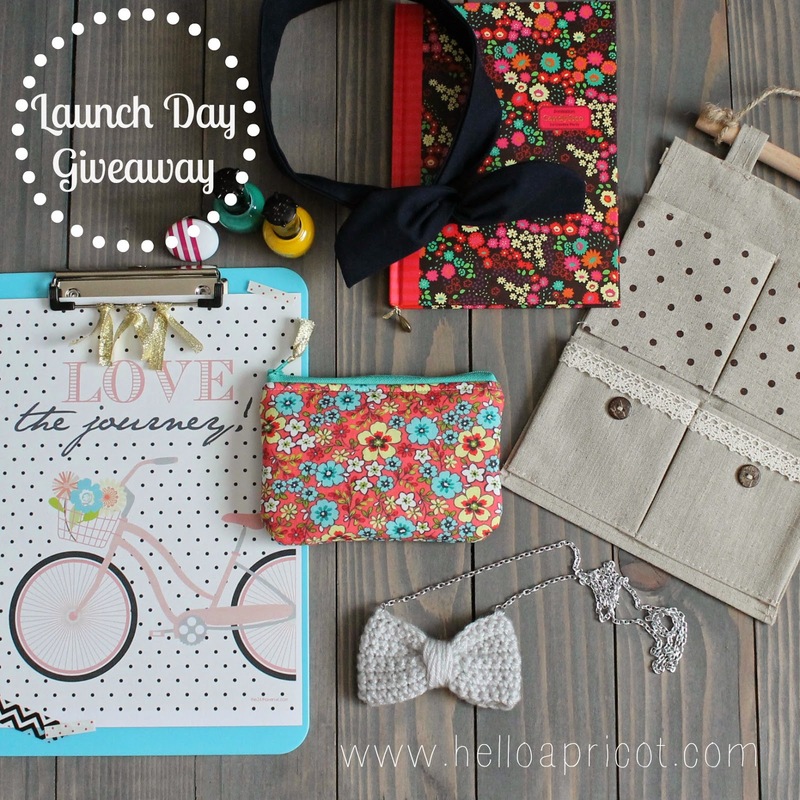 Today is launch day and we're having a giveaway to celebrate so head on over and check it out! And thank you for for following along in my new adventure. You bless me. Hi everyone! 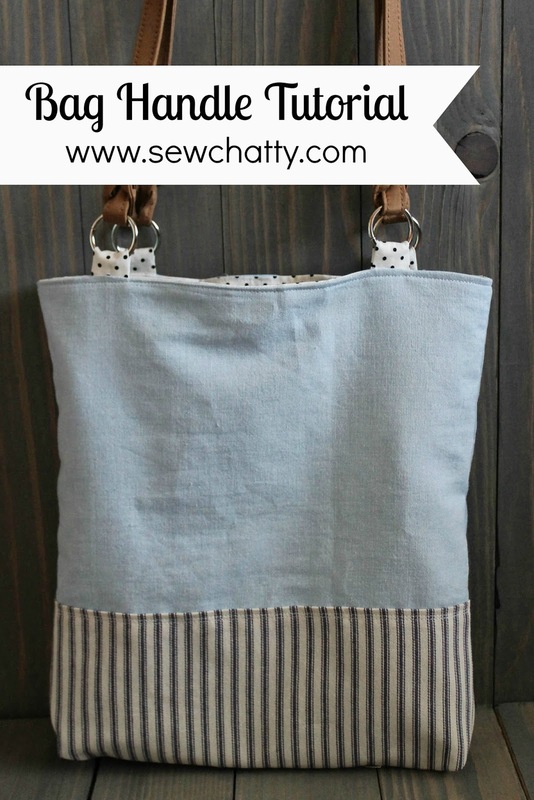 I have a great little tutorial to share with you today that will take your handmade bags to the next level! Commercial store bought handles will give your tote the perfect finishing touch and make you look like a total professional. And really it could't be easier! 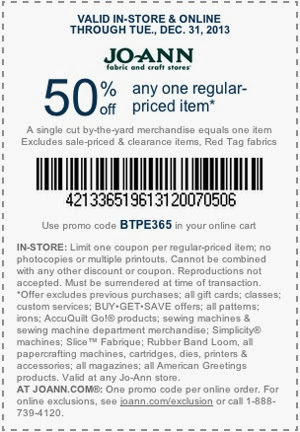 JoAnn Fabrics makes spring crafting so simple during national craft month with a $5 off $25 or more purchase coupon and spring crafting inspiration website! Fabric scraps for creating tabs-4 pieces cut to 2"x2 1/2"
4. Turn inside out. Press. Press in half wrong sides (seam side) together and insert through ring of handle. 5. Baste edge closed with 1/4" or 1/8" inch seam. 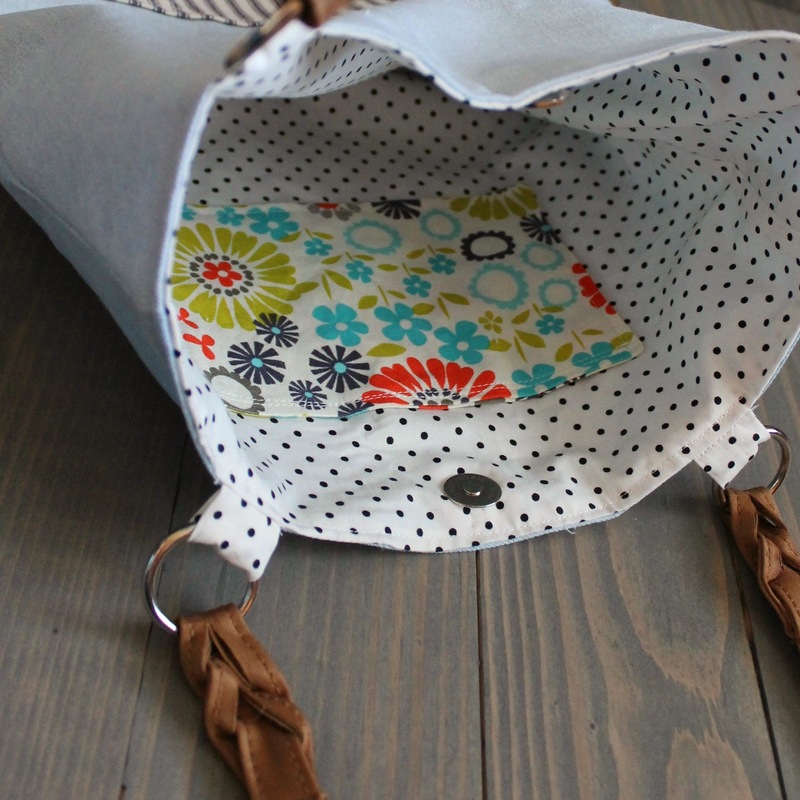 Whatever you feel comfy with but also be mingle of your bag pattern. If your pattern calls for 1/4 seams, use 1/8 so that your basting stitches are hidden in the seam. 6. Repeat for all four tabs and you're done! 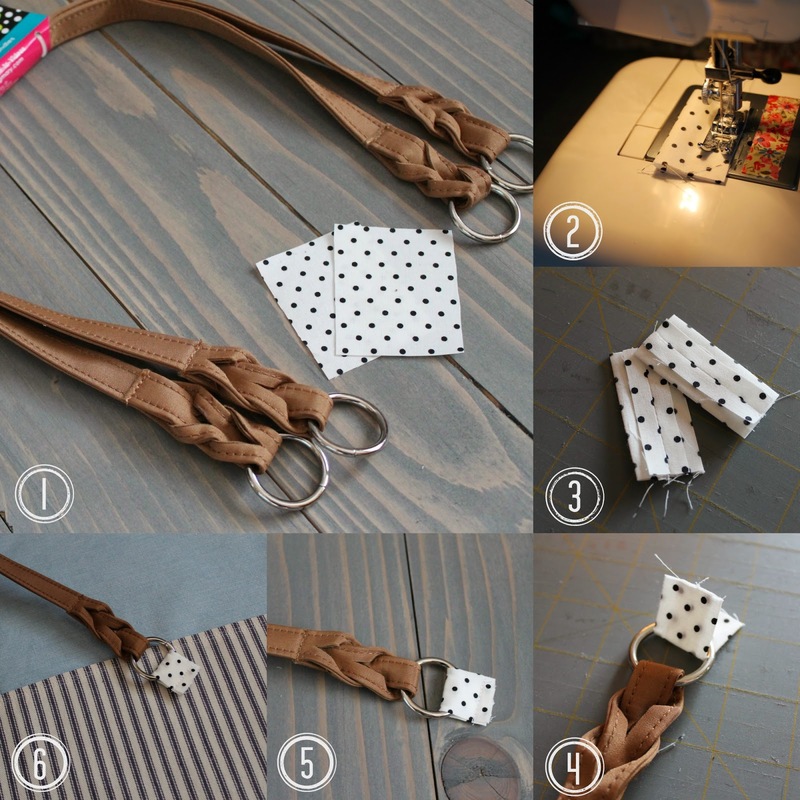 Now you can follow your bag pattern. Oooooooh ahhhhhhhh. See what a difference that makes?!?!? Looking good. Here is the inside of my bag. Other professional touches I like to add are magnetic snaps, pockets, and boxed bottoms. 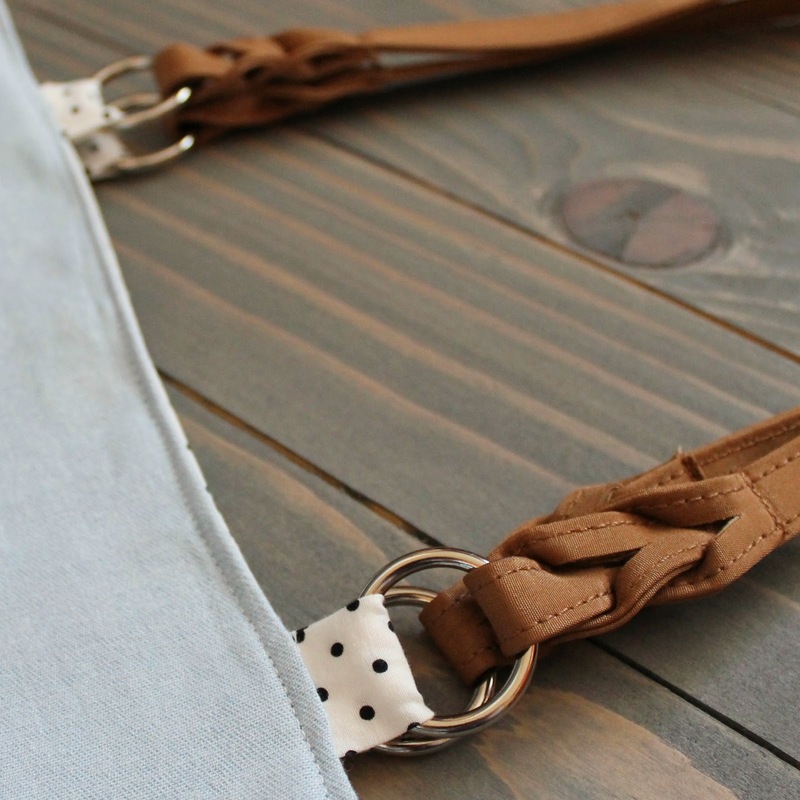 These little details make such a huge difference in the finished look, functionality, and style of your bag. All these supplies can be purchased at your local JoAnn's! Happy crafting friends!! Hey there! Who needs a fun and simple treat that you can share with your Valentine? 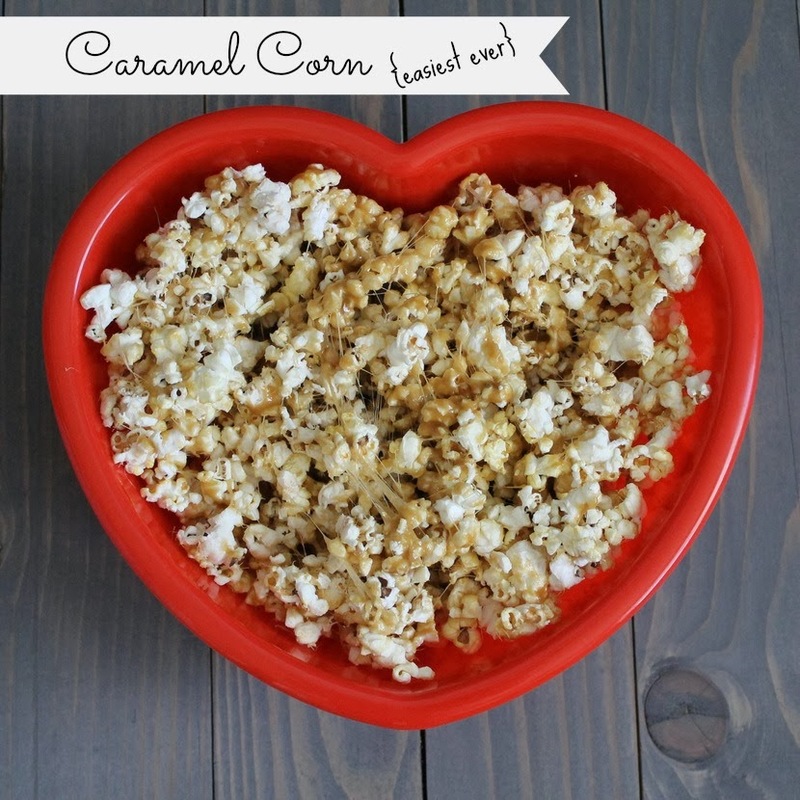 Everyone loves caramel corn right??? This takes like 5 minutes to make, you ready? Pop your popcorn according to the package directions. Pour into large bowl. Melt the sugar and butter in a glass bowl in the microwave. 2 minutes. Stir in the marshmallows. Heat for 1-2 minutes more until everything is all melty and awesome. Pour over your popped popcorn and stir until everything is mixed well. That's it! So easy and crazy delicious. We don't do a lot of microwave popcorn these days because I've been on an air pop kick. Did you know that Jolly Time has an organic popping kernel? I'll definitely be picking up a bag on my next shopping trip! You can find it HERE. Hi there and Merry Christmas to you! I'm sharing my Merry & Bright Christmas Mantle here today! We don't do a whole a lot of decorating for Christmas. Just the tree and the mantle and a few things that are special to us. 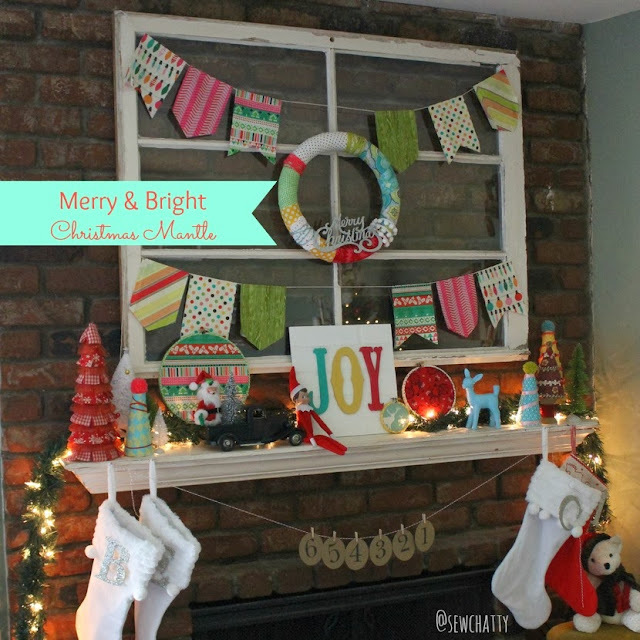 This year's mantle was SO FUN to do. I honestly have no plans to change it next year. This post is in partnership with JoAnn's. All ideas and projects talked about are my own. Here is our #fabulouslyfestive December space! Ta dahhhhhhhhh! It's my favorite ever! Let me tell you about some of the details! The bright colored trees are just the foam ones. I picked them up at JoAnn's. I wrapped them in fabric strips and different trims and stuck a sweet little pom pom on top. I love love love this Christmas print. JoAnn's had some great fabrics this season! I framed this one in an embroidery hoop that I wrapped in strips of green gingham. I went a little non traditional for my wreath this year. I added some yellow and aqua in with the go to red and green. Funky and fun. I wrapped the wreath form in fabric strips and trims and yarn and added a silver glittered ornament with some hot glue. I love it all but I think those pom poms are my fave. A little hint of our tree. I made tons of these crocheted ornaments this year. I adore them so much! I very well might COVER the tree in them next year. Better start working on them in July. I forgot to add garland to the tree this year. Oops. But have no fear, I raided the miscellaneous trim bucket and tied a bunch of odds and ends together. So now the tree is covered in ribbon and pompoms and lace. 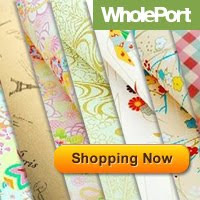 I have a coupon for all you last minute Christmas crafters (like me!). Thanks so much for stopping by! I hope you have a very merry Christmas! Shop Michelle's PDF Sewing Patterns!